As I’ve already discussed, during the fall of 1774, General Gage focused on efforts to collect as much arms and ammunition as possible in New England. His troops would need it, and he wanted to deny it to the Patriots. That is what sparked the Powder Alarm in September 1774. Over the winter, both sides attempted to collect whatever other arms and ammunition they could. Last week I mentioned that in October, the Privy Council with the King’s approval, banned all imports of arms and ammunition into the colonies. By mid-December, word of the ban reached the colonies, making everyone that much more desperate to grab whatever existing stocks that they could. By that time, Gage had put most of his stored arms and ammunition in Castle William in Boston Harbor, where it was safe from attack. The Provincial Congress kept its munitions dispersed in various towns, far enough from Boston where the army could not get to it easily. During this same time, the ministry ordered Admiral Graves to deploy four of his ships in Boston to sail along the New England coast to interdict any ships carrying munitions. 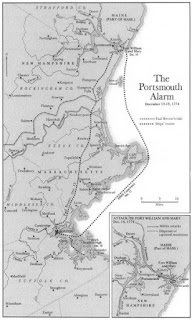 The Patriots learned of this deployment, but feared the navy was headed to Portsmouth New Hampshire to secure the munitions at Fort William & Mary. The fort contained nearly 100 cannon as well as over 100 barrels of gunpowder. It was one of the largest forts in New England. However, New Hampshire had never become a military flashpoint. Over the years, the fort had fallen into disrepair, with many of its walls beginning to collapse. It was defended, if you can call it that, by a garrison of six soldiers, all of whom were on invalid duty. The Patriots feared the British navy might be moving to secure these weapons and munitions before they fell into Patriot hands. Paul Revere rode on horseback through the snow to warn the Patriots at Portsmouth, arriving on the afternoon of December 13. Revere needed to find his contact in Portsmouth, Samuel Cutts, head of the Committee of Correspondence. 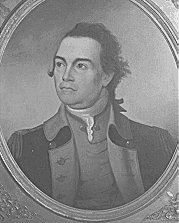 By luck, Revere found Cutts in town almost immediately after his arrival, and gave him the papers from Boston warning of the raid. Cutts attempted to assemble the Committee to discuss a response, but it was already evening. Getting everyone assembled would be impossible. They sent out word for a meeting the following day. Still, several members of the Committee decided they needed to take quick action. They began to alert the militia to assemble the following day as well. Of course, none of this remained a secret. A Tory informed the Royal Governor of New Hampshire, John Wentworth, of Revere’s arrival and the activities of the local patriots. Gov. John Wentworth was New Hampshire native. His Grandfather had been the first Lt. Gov. of New Hampshire. John became Governor in 1766 after his Uncle, Gov. Benning Wentworth retired. You may remember Uncle Benning as the Governor who sold all those questionable land claims in what eventually became Vermont and nearly started a war with New York. John had graduated from Harvard College, where he had become friends with his classmate, John Adams. As an appointed royal governor though, Wentworth had to serve as representative of the King’s interests. When the Governor learned that the Patriots might be considering an attack on Fort William and Mary, Wentworth sent a note to the Commander of the Fort, warning him of a possible raid. He also immediately dispatched a letter to Gen. Gage in Boston informing him of the situation. 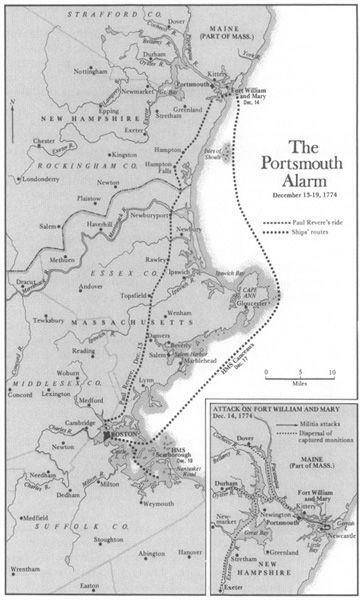 The next morning, Wentworth tried to call out the militia to protect the fort and suppress any Patriot attack. He discovered that most of the militia would not turn out to suppress the attack because they were participating in the attack. As a result, the handful of British regulars in the fort were on their own. The estimated numbers of militia who turned out for the Patriots are vague and varied, but a good estimate seems to be about 400 armed militiamen. John Langdon, a merchant ship captain took command of the force. Langdon would go on to have a successful career in politics, but at this time had done little to stand out. The militia gathered even as the Patriotic Committee of 45 still was attempting to gather and decide on a policy. The members of the militia were not waiting for guidance. They feared the British navy might arrive at any moment. They needed to strike quickly to ensure success. Captain John Cochran commanded Fort William & Mary. Cochran was regular army but had been born in New Hampshire. His command consisted of a force of five soldiers. 400 militiamen against six defenders does not seem like much of a fight. But six men with loaded cannon behind stone walls could do a lot of damage before being overrun. Cochran’s men armed themselves, loaded their guns, and prepared to defend the fort. To me, the actual attack on the fort seems ridiculously amateurish on both sides. The assembled Patriots received a warning from the Colony’s Chief Justice that they were committing treason and should cease and desist immediately. After they finished laughing at him, the soldiers moved on the fort. To avoid having to commit to an all out assault on the fort. Several men attempted to enter the fort that morning. Despite the Governor’s warning the evening before that an assault was imminent, Captain Cochran invited in two men who wanted to discuss some personal business. A short time later a third man joined them, looking for the first two. Then three more men showed up and were invited into the fort. Cochran had now invited in six suspect men, the same number as he had to defend the fort. Now the fort was really out of the way and Cochran did not regularly receive visitors. So you would think this would have raised suspicion, especially after the Governor had warned him about this the night before. It’s not clear exactly when Cochran suspected these men were up to no good, but certainly by the time his wife came into the room, whispered to him that he was being betrayed and quietly handed him two loaded pistols. Still not ready to leap to action, Cochran walked outside with the men individually to question them. While doing so, he allowed three more strangers to enter the fort, making a total of nine now. At this point, one of the men Robert White, actually admitted to Cochran that they were there to seize him and take the fort. 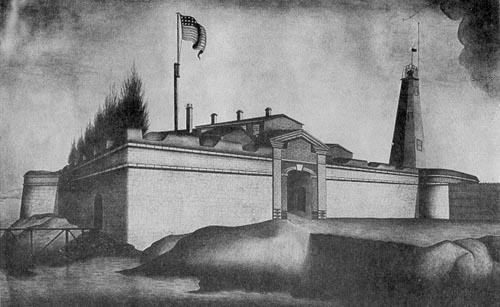 Cochran did not take the men prisoner but instead simply requested that they all leave the fort. The men apparently decided not to seize the opportunity to overpower the garrison, but instead complied and left peaceably. A short time later, two more men arrived at the fort, offering to help. Cochran accepted their offer and put them on the line with his five other defenders. I’m not sure exactly why he trusted these two men. Perhaps he knew them well and knew their politics. In the records of later events, it’s not really clear whether they actually helped to defend the fort or helped the other side once fighting started. Around 3PM about a dozen men, armed and marching in ranks approached the fort and requested entry. Cochran asked them why but they refused to say. Cochran this time, at least, had the good sense to tell them they needed to leave. A short time later Langdon, commander of Patriots, and White, who had previously entered the fort and told Cochren they had been there to seize him, asked for entry. Langdon informed Cochran that he was there to take the gunpowder. Cochran told him that he could not do so without an order from the Governor. Langdon told him he had “forgotten” to get an order, but was going to do so anyway. He made clear that his men intended to take the powder by force. Cochran made clear they would do so over his dead body and asked them to leave. The two men left the fort. But while they were discussing the matter with the commander, most of the patriot militia had gotten under the walls of the fort where it was impossible for the defenders to shoot at them. Just after Langdon and White left the fort, the troops began to storm the walls. The defenders fired their cannon, though they used solid shot, which is usually used against ships, rather than grapeshot, which is more effective against people. Although they were a point blank range, the attackers saw the cannon about to fire and ducked out of the way. None of the three cannon hit anyone. Next, the defenders fired a musket volley. Although they had dozens of muskets on hand, they apparently did not bother to pre-load all of them for rapid firing. They fired a volley and then had to stop to reload. Taking that moment, the attackers rushed forward and engaged in hand to hand combat. They quickly took down the defenders and disarmed them, except for Captain Cochran, who backed himself against a wall and continued to fight with his bayonet despite being surrounded. A man climbed the wall behind him, jumped down on him and took him prisoner. Despite the exchange of fire, no one was killed or seriously injured. Cochran had inflicted a bayonet wound on one attacker in the arm, but he recovered. One of the attackers had fired a pistol at a defender at point blank range, but the pistol misfired. As a result, everyone lived through the battle. Langdon then demanded the keys to the powder room, which Cochran refused. So while holding the garrison prisoner, the Patriots battered down the door and removed all of the powder from the fort. They also took down the King’s banner, which had been flying over the fort, an act that made clear this was an act of war against the King. With the powder secured and removed, the intruders released the garrison and left the fort. 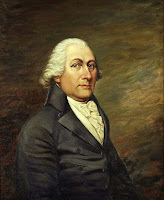 John Sullivan, a Major in the New Hampshire militia in Durham and former delegate to the First Continental Congress received delivery of the gunpowder, which he would store inland and rather quickly distribute to various town militia units. By the evening of December 14, Gov. Wentworth had received a report on the raid. The following morning, he ordered his loyal militia officers to enlist or impress 30 men to reinforce the fort. Since the raiders had already taken what they wanted and then left the fort, this action really seemed like too little too late. As it turns out though, it was just too little. After Sullivan had received the note about the raid and the delivery of barrels of gunpowder, he collected about 40 of his local militiamen and came down to Portsmouth himself to get a better idea of what was happening. 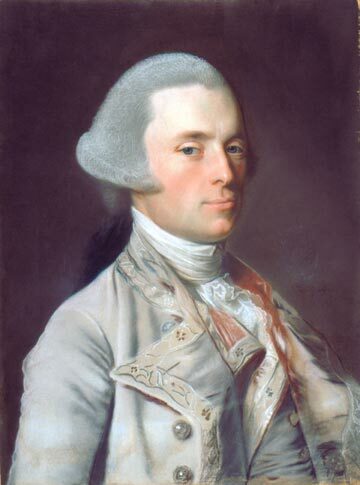 Since Sullivan had received his militia commission from the Governor, Wentworth assumed he had come to support the royal government and called on him for a conference. Sullivan told the Governor he had heard the regulars were coming to take all their munitions from the fort, and that he understood the previous day’s raid was a justified action to protect the colony’s powder. He further informed the Governor that hundreds more militiamen were coming to town to return to the fort and confiscate as many of the artillery pieces as they could carry. He did not tell the Governor that he personally had received and stored the powder seized from the fort the day before. Wentworth told Sullivan that the rumor of British troops coming to seize munitions was “a wicked falsehood” and ordered Sullivan to go out and disperse the gathering patriot militia. Sullivan quickly figured out that he was going to be forced to pick a side. He could either obey the Governor and be labelled a Tory, or he could side with the Patriot militia and risk being hanged as a traitor. At first Sullivan equivocated. He told the Governor he would speak with the militia and see what he could do to resolve the situation. He carried the Governor’s message that the British were not coming to take the fort's munitions and tried to broker a deal to prevent any prosecutions for the previous day’s attack. Sullivan returned to the Governor with Langdon and a few other leaders saying that the militia was determined to return to the fort and seize the cannon, but that if the Governor might be willing to pardon everyone for the previous day’s raid, they might be able to prevent a second attack. Wentworth did not see any way he could pardon a military attack on the King’s forces without losing his job, and possibly being prosecuted himself for aiding in this act of war against their own government. As afternoon turned into evening, the militia officers and men debated their next action. Some argued the powder raid was justified because the colony had purchased that powder. The regular army had supplied the cannon, meaning the colony had no right to them. Opponents of a new raid also pointed to Wentworth’s continuing assurances that the navy was not coming to seize the weapons. On the other side people argued that this was not a question of property rights but about who had the weapons when war inevitably started. Further, the few hundred men who engaged in the powder raid might be subject to charges of treason. Another raid would make sure that everyone in the colony would share responsibility together in their opposition. They would not allow the few men involved in the previous day's activities to take all the heat in a prosecution. Some of the militiamen who had come to Portsmouth refused to go along and returned home. But for every man that left, several more arrived every hour to increase the numbers of men who favored a raid. By early evening over 1600 soldiers from New Hampshire and Massachusetts were calling for a second raid on the fort. None of the militia seemed inclined to support the Governor or go to the defense of the fort. Even Wentworth’s call that morning to recruit a mere 30 men for defense apparently had failed. Major Sullivan saw that the mood was clearly in favor of a second raid, and agreed to lead the action. Around 10 PM, he took an advance party of about 100 men out to the fort. He asked to meet with Captain Cochran. Realizing that his position was even more indefensible than the day before, Cochran agreed to speak with them. Sullivan seemed to act as a mediator, explaining that the militia wanted the remainder of any colonial property held by the fort. Cochran eventually agreed to turn over colonial property, as long as no personal property or property of the King, i.e. the cannon, would be taken. From Cochran’s view, there was no way he could mount a defense with six men, several of them now wounded, against 1600 angry militia. By cutting this deal, he hoped to protect at least some of the King’s weapons, while giving the militia a few dozen muskets, most of them in poor condition, and maybe a few other things. Once the Patriots entered the fort though, they claimed the small pile of broken down weapons that Cochran presented was not nearly all the colonial property in the fort. Over Cochran’s now futile objections hundreds of men scoured the fort, removing any ammunition, small arms, and at least 16 of the King’s cannon. They left around 70 cannon, most of which were too large to move easily. The men worked all night removing just about anything else of military value from the fort. The next morning, December 16th, militia had departed the fort but got stuck trying to move the artillery up the river. Everyone seemed to fear that the navy would arrive at any moment and move in to recapture the equipment. More militia moved into town, prepared to do battle with the navy in order to give others time to move the equipment further inland. The Governor and several other officials made continued attempts to end the lawlessness, but it became clear they were only putting themselves in danger with the angry mob. By the morning of December 17th, the cannon and other equipment were all safely inland and the militia began to return home. That evening, the first British navy ship arrived with marines prepared to defend the fort. By then though, there was nothing for them to do. For a time, the Governor attempted to gather evidence to bring charges of treason against the Patriot leaders involved in the raids. In the end though, authorities realized that if they did manage to arrest anyone, no jail would hold them and no jury would convict them. If they managed to get a defendant to the navy and ship them to Britain for prosecution, such an act would bring terrible retaliation. As it was, the Governor, along with Captain Cochran and several other Tory leaders, would have to flee the colony about six months later - first to Boston and eventually to Canada. Leaders of the raids John Langdon and John Sullivan would never be arrested. Wentworth revoked their militia commissions and also removed Langdon as a justice of the peace. But by that time, Wentworth’s authority was dead. Both men continued to work on behalf of the Patriots, leaving a few months later to serve as delegates to the Second Continental Congress. Both would have successful military and political careers during and after the Revolution. Long after the war, in 1808, The government renamed Fort William & Mary as Fort Constitution. Today the Fort is part of a State Park. I should also note that other colonies, also receiving word in December that Britain was banning munitions imports also made efforts to secure existing stockpiles. 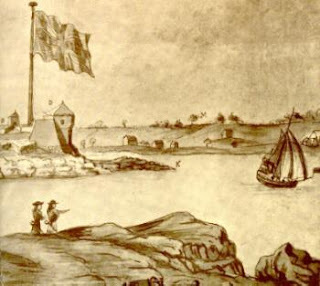 Rhode Island colonists stripped Fort George in Newport of its munitions. Similarly, Connecticut colonists secured a battery of cannon in New London. Neither of these incidents involved an armed confrontation as we saw in Portsmouth. It was clear though that all of New England was arming for a full scale rebellion. Next week: Gen. Gage sends regulars to Salem to seize Patriot weapons. Armory, Thomas The military services and public life of Major-General John Sullivan of the American Revolutionary Army, Cambridge: John Wilson & Son, 1868. Mayo, Lawrence John Wentworth, Governor of New Hampshire, 1767-1775, Cambridge: Harvard University Press, 1921. Parsons, Charles The Capture of Fort William and Mary, New Hampshire Historical Society, 1903. Fisher, David Hackett Paul Revere's Ride, Oxford: Oxford Univerity Press, 1994.